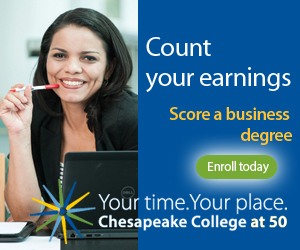 To increase awareness and enrollment in degree and certificate programs with prospective students, we worked with Chesapeake College’s Office of Institutional Advancement to design and launch a digital marketing campaign. The first phase of a multi-platform initiative launched November 1 and leveraged their recent branding. Showcasing Eastern Shore students, the messages were designed to resonate with and reach their target audience in a relevant and engaging manner. Two compelling variables influenced our work. First, community colleges across the nation are experiencing declining enrollment due to a robust economy and shifting demographics. Second, with the explosion of social media and digital platforms, the media landscape has fundamentally changed how college’s recruit students. 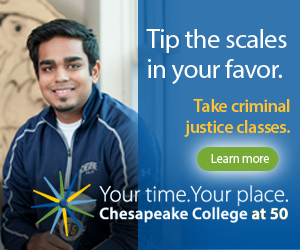 Chesapeake’s recruitment marketing needed to . We needed creative, direct marketing strategies that reach prospective students and influencers where and when they consume information. Utilizing the four P’s of Digital Marketing: Pervasive, portable, personal and participatory. Phase 1 Focused on career pathways and recruitment priorities. 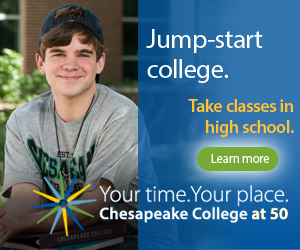 Ads were designed to promote programs in: Healthcare, Environmental Science, Business, Justice, Skilled Trades and STEM. We employed multiple platforms in this digital marketing campaign. 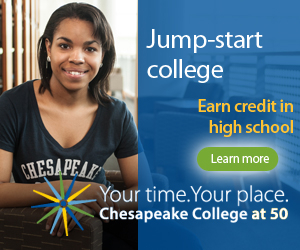 Placements included: Digital editions of area newspapers; Facebook; YouTube; LinkedIn; and college website. It was also supported by a radio component and public relations. 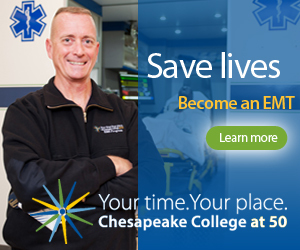 For example, over the course of four months (July through October 2016), 88 Facebook posts on Chesapeake’s page reached more than 150,000 people with 20,000 of them liking, commenting or sharing the information. 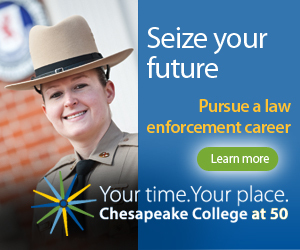 The college spent $270 on four promoted posts. 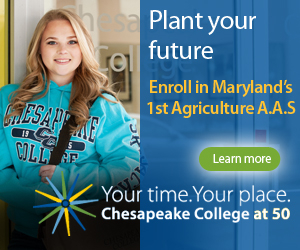 Here are a few of the digital marketing campaign creative executions; click here to learn about more of Choptank’s work with Chesapeake College.